For fans of horses or horsepower. The National Stud in Kladruby nad Labem is the world’s oldest large-scale stud farm, and is known for its breeding of rare Kladruber horses. Pardubice is known for horse racing, and there’s even something for motorsports fans - the speedway race for the “Golden Helmet”. Kolín: Where the Elberadweg crosses the EuroVelo 4 Route. 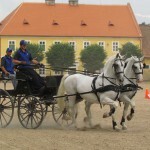 In Kladruby nad Labem you´ll find the famous national horse breeding farm. Přelouč is a small town to the west of Pardubice. 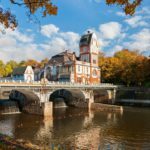 Týnec nad Labem: A small historical town on the Elbe with a castle. Pardubice boasts a historic centre that you won’t regret visiting. A large amount of silver was once found in Kutná Hora. 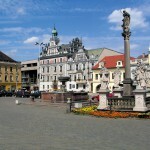 Hradec Králové is the most important town in the foothills of the Krkonoše Mountains.